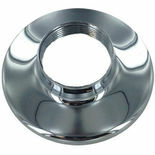 Primarily used as kitchen faucet parts, the escutcheon plate is more for appearance than for usability. The plate is used to cover up unused holes in your countertop. For example, if you were to install a single-hole faucet assembly on a sink that accommodates a three-hole assembly, the escutcheon plate can be used to cover the unused holes. 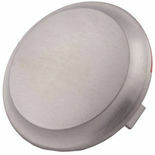 These plates come in a variety of finishes to match almost any faucet finish. 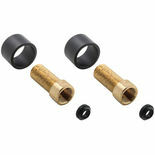 They come in both threaded and non-threaded varieties. Most handles can easily be replaced if need be. 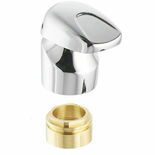 There are a wide variety of faucet handles to choose from. 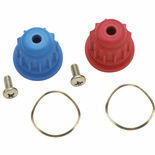 Remember that kitchen faucet parts will tend to be more visible to guests so that is an important consideration. 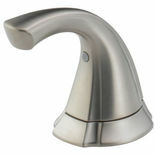 If you want to replace the handle only, the best choice is to find the same handle type from the same manufacturer as your current faucet. 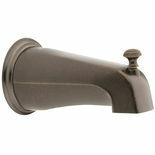 Some consideration to make while choosing a faucet handle is the comfort of the handle. It should feel comfortable to the touch, with sturdy but fluid turning motions. These parts need no explanation, but consider that PlumbersStock carries over 1,200 options so that you can equip your shower with the ultimate fixture for a therapeutic bathing experience at discount prices. 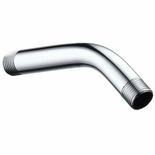 If your shower arm is broken then you don't want to have to replace the entire fixture, so save by finding the right discount shower arm or wall mount for your repair project. 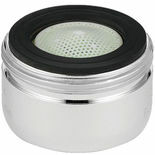 Replacement tub spouts to match your existing configuration can be found here at discount prices. 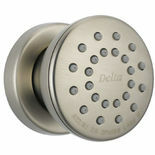 Over 500 discount options to choose from, with brand names like Moen, Delta, Grohe, and more! 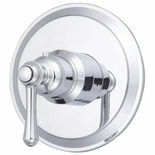 Shower trim includes all the components of a shower that can be seen, like the head, arm, and handle. Trim kits will include all the parts you need for your shower assembly. Both stems and cartridges are essential to connecting and operating your faucet. 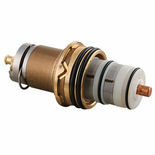 We offer hundreds of options to ensure you find the part you need. These faucet parts are crucial in preventing leaks in your installation. 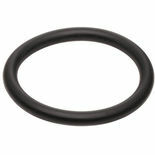 They create a seal that covers up the imperfections in your mating surfaces. With literally thousands of options for commercial faucet replacement parts, PlumbersStock has the solution for your restroom or kitchen. With all these considerations to make, your head may still be swimming from information overload. There are many more faucet parts that help to bring you a great indoor plumbing experience! There are many options when it comes to bathroom faucets and kitchen faucets, and the same is true for their various parts. If you have any questions please contact our service professionals to find which is best for your home. We offer information on a few parts that you will want to keep in mind when properly maintaining your faucets.